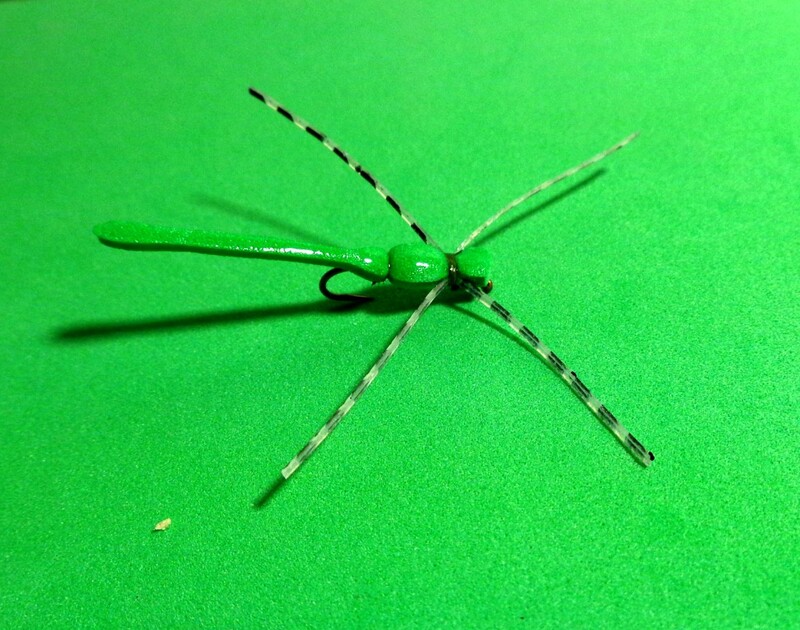 Here are three suggested fishing flies that have been working well for the COAF Field Team this Season (2014)! Do checkout the video in the section below that details how we tie them. Also, for ease of reference, we include a material list at end of this article. The fishing flies are easy to tie, easy to fish, and have been a consistent producer of trout in our area! Do let us know if they work for you when fishing for Trout in your area. When we see the size 1/124 oz readily sinks to the desired depth, we use it over the 1/80 oz. 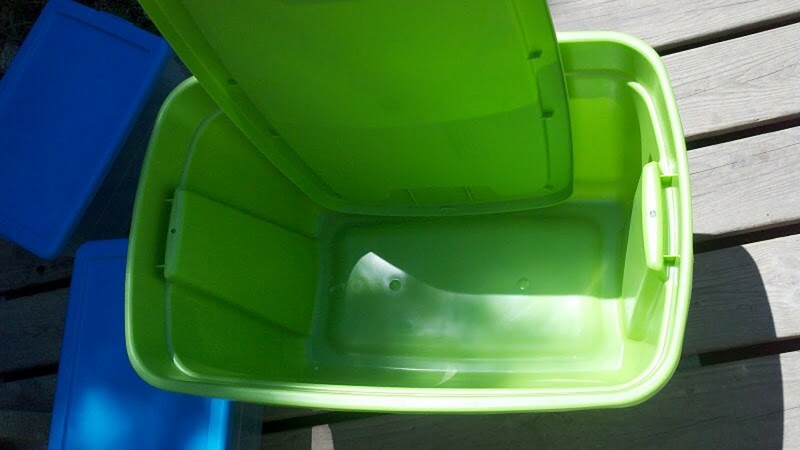 If the size 1/124 oz sinks but stalls a foot below the surface, then we go with the 1/80 oz. If we notice bait fish are darting about in the current, we will note their size and go with the the size that best matches the bait fish. Depending on how "finicky" the Trout are striking, we may or may not fish the Near Deere using a strike indicator. If the Trout are barely striking the fishing fly, we will use a strike indicator. If they are striking aggressively while we retrieve the fishing fly with short, fast pulls of the line, we will forego the strike indicator. We also use a strike indicator when fishing fast flowing water as the indicator helps keep the fishing fly in the "zone" longer and allows us to consistently maintain the correct depth once we have located the "zone". Next, we will switch to a White Near Deere for a few casts or two, regardless if the fish are striking the Olive Near Deere. There have been instances where the White Near Deere had less strikes but larger fish. Also, there have been instance where the White Near Deere was preferred over the Olive Near Deere. If the action is slow or non-existent with the Near Deere, we will go to a Tandem Rig fished under a strike indicator. First, we start with the GRHEN. 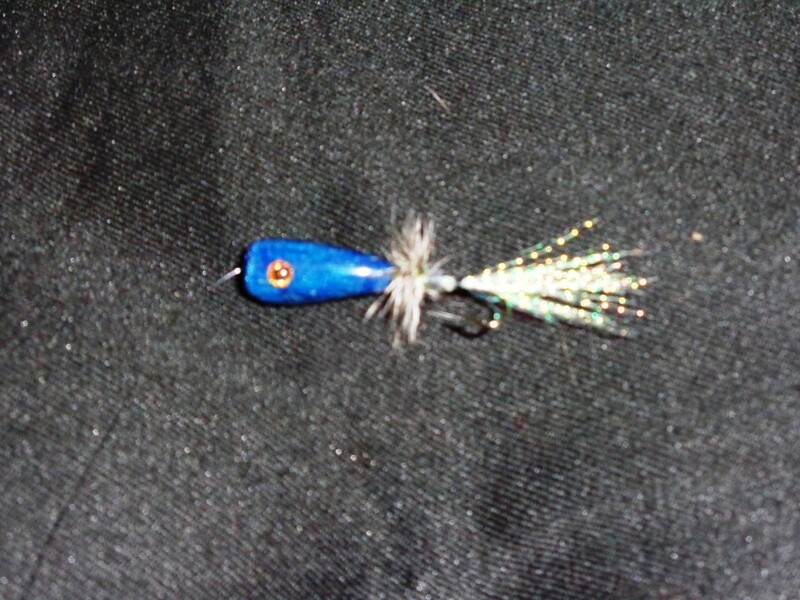 Main reason why we go with the GRHEN over the Zebra Midge is it simulates a number of "bugs" that Trout favor. Additionally, rumor has it that the GRHEN is a good imitation of Purina Trout Chow pellets that hatcheries feed Stocker Trout. If the GRHEN does not work, we switch to the Zebra Midge. 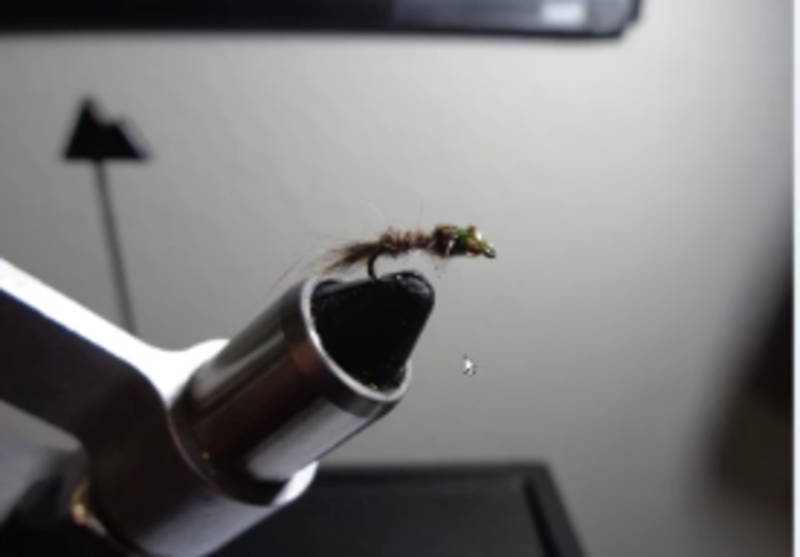 If none of the above work, we start fishing other patterns in our fly box. However, this Season (2014) when we tried other patterns, we noticed no significant change in the strikes (or non-strikes) we were getting. Moreover, we found it best to try other locations along the river when the action slowed. Do use a strike indicator when fly fishing? For ease of reference, here is a materials list for tying the Gold Ribbed Hares Ear Nymph, Zebra Midge, and Near Deere. Note: Substitute white material when a White Near Deere is desired. Added a video clip that shows how we tie the Near Deere. 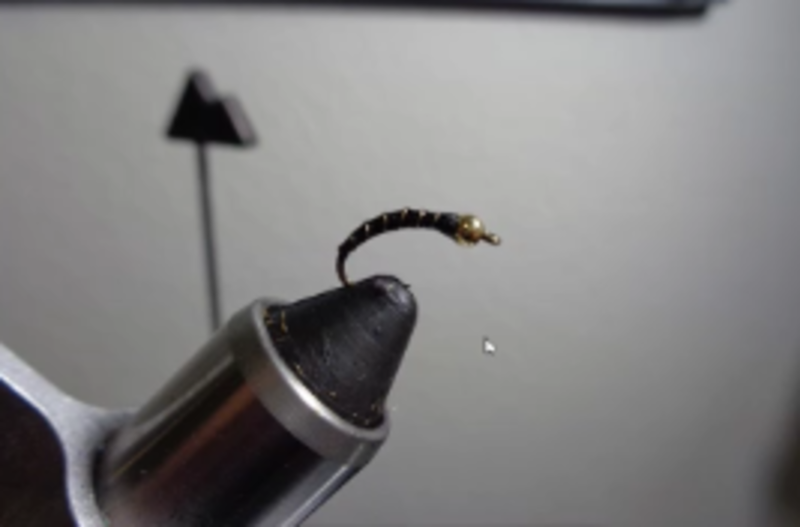 May be of interest to some who want another example of how to tie this simple but effective pattern! Video clips of recent trips (in 2014) to the Lower Mountain Fork River at Beavers Bend State Park, the Blue River, and Turner Falls Park. 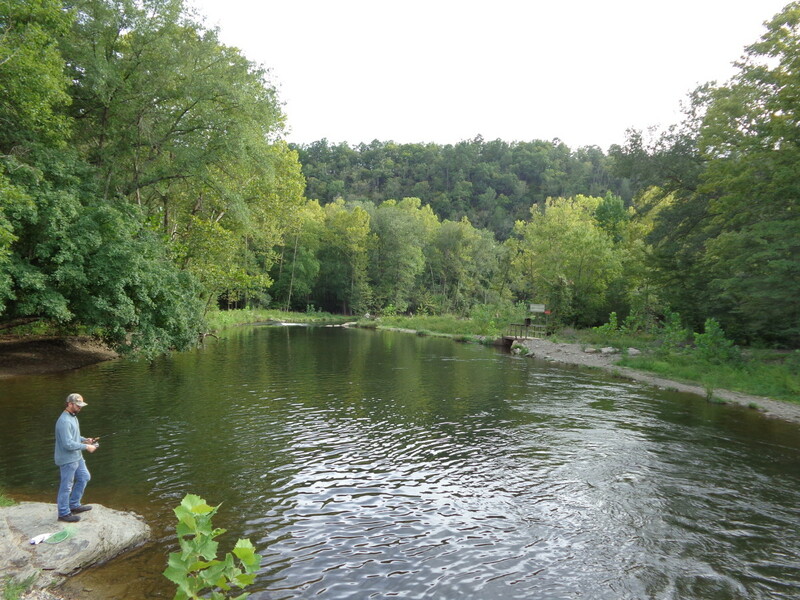 All are located in Oklahoma and have been stocked with Rainbow Trout. The Lower Mountain Fork also has Brown Trout, and the Blue River has had reports of a Brook Trout or two caught and released. Also, added one more video clip that shows the Near Deere catches other fish (not just Trout) from a stocked pond! Headed to Oklahoma on whim to the Lower Mountain Fork River at Beaver Bend State Park for a chance at some Rainbow Trout. Before heading to the fishing areas, stopped by the Beaver Bend Fly Shop. Gave some good tips, suggested fishing flies... as well as useful information about fishing the Blue and Red Zones. Was not aware of special regulations like the Name and License Number Tag for your stringer. 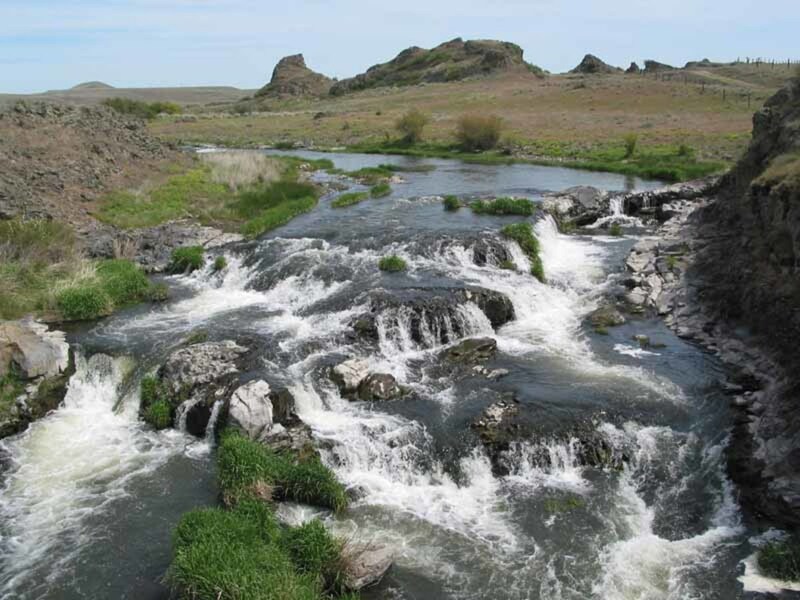 Overall, really like the area; especially like the year round trout fishing opportunity it offers with lots of little, wild Rainbow Trout to keep you busy between catching Stocker Rainbow Trout. Did lose a Bruiser Rainbow Trout; lost it while attempting to land it. Also, caught and released a Brown Trout (first one ever!). Day one of the Trout Stocking Season on the Blue River in Oklahoma! Temperature were hovering in the lower 30's. Luckily, warm clothing and insulated waders kept us warm and comfortable! Used an Olive Near Deere and caught a limit of Rainbow Trout! Even did some catch and release fishing... great day on the River! Fished the area for the first time a week before this video. It had rained the day before which resulted in murky water conditions. Did limit out using an Olive Near Deere and a White Near Deer. Returned for another round and captured more of the action on the video posted in the sidebar. Water was clear and the Trout were easily seen lurking in the pools, pockets, and runs in the river. Great time catching them on an Olive Near Deere! Decided to fish a local catch and release pond to practice fishing a Near Deere Fishing Fly under a strike indicator. Had a few missed strikes while using this rig at Beavers Bend State Park. So, better get some practice in (also, a good excuse to go fishing!). 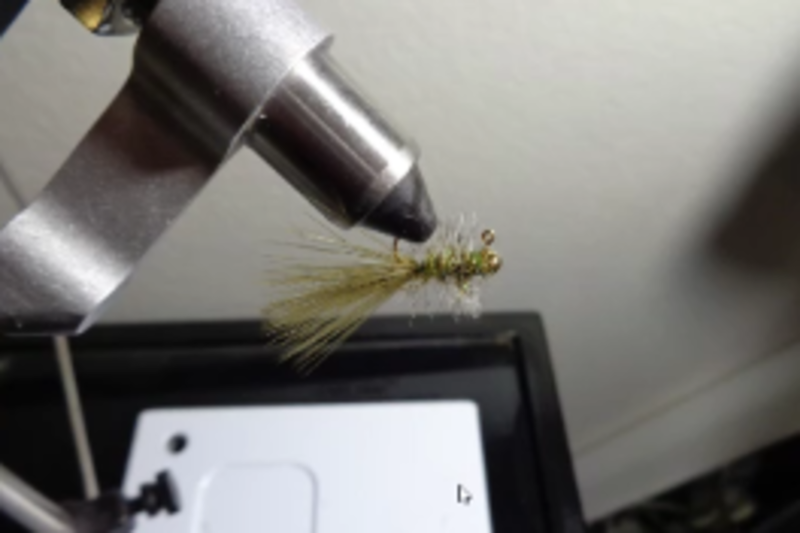 Added another video that shows more detail on tying the Near Deere. See it in the Fly Tying the Olive/Brown Near Deere section! Who needs an excuse to go fishing? That being said, this is all sort of Greek to me because I go saltwater fishing - we catch sand trout and speckled trout when they are running. Fly fishing is something I've always wanted to try. 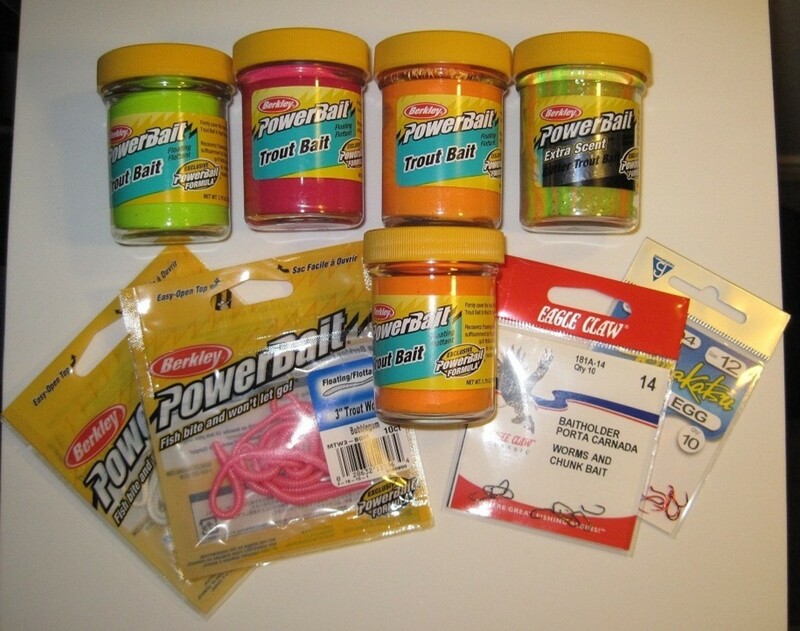 Newest article that details three suggested fishing flies for Rainbow Trout! Hope a few of our Readers find it useful!